Francisco Salvator-Daniel father was a Spanish musician of Jewish origin, who came to France as a refugee. 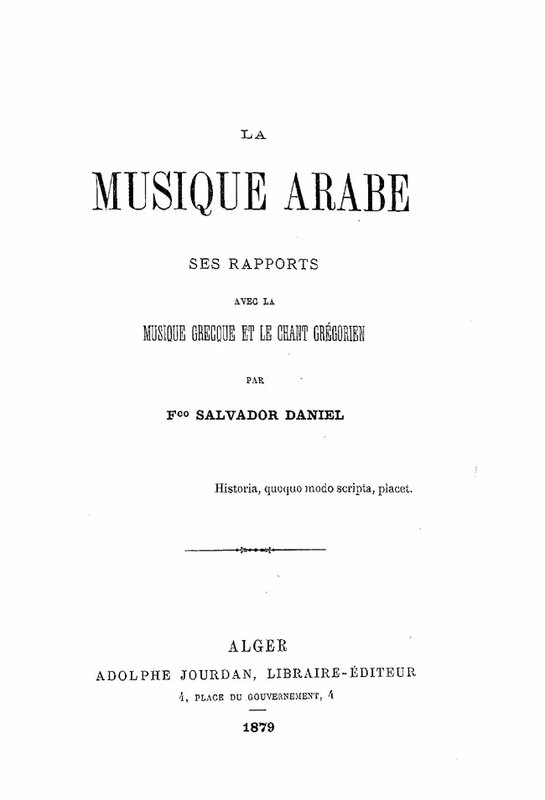 After studies at the Conservatoire national supérieur de musique et de danse de Paris, Francisco Salvador-Daniel went to teach violin in Algiers in 1853. He transcribed and translated songs from North Africa, and adapted them for western instruments. After his return to Paris, he was music critic for La Lanterne, the satirical magazine of Henri Rochefort. During the Commune of Paris, he became director of the Conservatoire and was executed by the “Versaillais” royalists during the final “Semaine sanglante” (Bloody Week) of the Commune. During the first semester of year 2001, a concert was organised by the Algerian Radio in collaboration with «France Culture» to pay tribute to an unjustly forgotten musicologist, original composer Francisco Salvador-Daniel. The explanations concerning the origins of the Salvador-Daniel family are rather confused and contradictory. According to some, the ancestors of the Salvador-Daniel family may have been Spanish Jews who later converted to Catholicism and were even ennobled. Francisco’s father, a Captain in the Rebel Army of Don Carlos, had to seek refuge in France with his family after the pretender to the throne’s defeat. His properties and assets were forfeited to Isabel the Second’s Government. Ruined, he settled in Bourges where he taught Spanish and Music. It is said that he also worked as an organist at the Cathedral and as a teacher of Music Theory and Harmony at the Royal College and at the École Normale (Normal School). His son Francisco, born in 1831, studied at the École Normale. In 1843, the family left Bourges and settled in Paris where the prospects were better. After being initiated into music by his father, Francisco entered the Conservatory. He became an excellent pianist and was hired by the orchestra of the Théâtre Lyrique where he met composer Léo Delibes who guided him at his beginnings. Yet he was particularly sensitive to the influence of Saint-Simonian musician Félicien David, the author of «Désert», whose social ideal he shared, and consequently resolutely moved away from his father’s very reactionary political orientation. Félicien David also instilled in him the love of the Orient: Francisco, eager to broaden the horizon of his knowledge, went in 1853 to Algiers where he taught violin. He rapidly learned Arabic and was able to translate the ancient treaties on Arab Music. 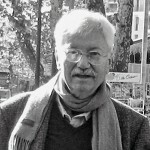 Arabic-Andalusian Music had been constituted through both the Orient and the Occident’s contributions, and Francisco Salvador-Daniel demonstrated the numerous analogies between Andalusian Music and Gregorian Chant. 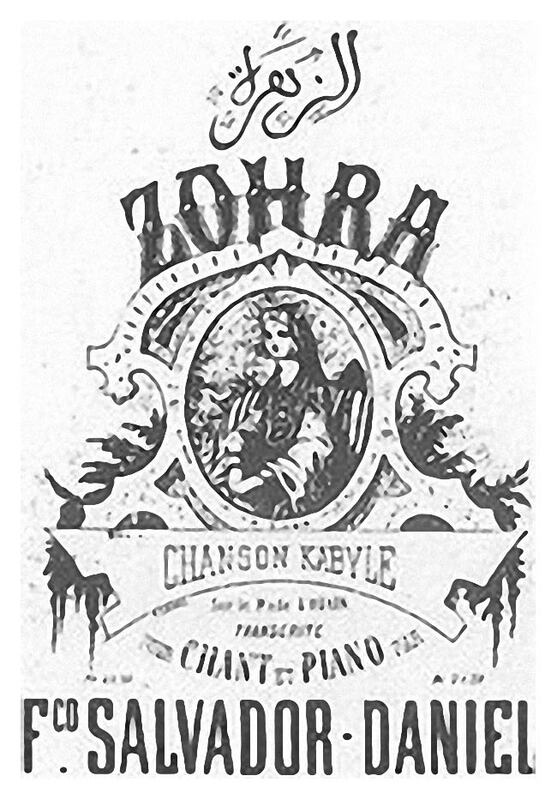 He published a very noticed work on the subject: “Arab Music, its Relation to Greek Music and Gregorian Chant” (Algiers – 1863). This work was first published in the African Magazine he collaborated to. He translated Algerian, Tunisian, and Kabyle songs into French and adapted Arab Music for Western instruments. Francisco Salvador-Daniel fell in love with the daughter of a merchant from Algiers. He was about to marry her but she fell ill on the eve of the ceremony and died some time later. Francisco was terribly affected by her death and went back to Paris, greatly depressed. He was very talented but did not have a scheming mind, and was never given the position he deserved in the music field. Moreover, his progressive ideas and his notions of a «social and democratic» music were very far from the official ideology. He wrote in collaboration with his father a course of plainchant dedicated to students-masters of the primary normal schools (Paris – P. Dupont – 1864). La Chanson Guerrière / The War Song – 18th and 19th centuries. La Complainte de l’Ogre / The Ogre’s Lament – 1867. Album of Arabic, Moorish, and Kabyle songs. He gave concerts at the Pompeian House on the Champs Elysées, yet he was most passionate about conducting the popular concerts founded by Pasdeloup. In 1869, he became a music critic at the republican journal opposing the Empire, Rochefort’s “Marseillaise”. During the first siege, he took part in the revolutionary days, October 31st 1870 and January 22nd 1871. Delegate of the Watchfulness Committees and a member of the Republican Central Committee of the Twenty Arrondissements (districts) of Paris, he signed the famous “Affiche Rouge” (“Red Poster”) of January 6th 1871. Under the Commune, he was communal delegate of the 6th arrondissement and was even required to complete missions in the 7th arrondissement. The Brother Superior «asked them to let all his brothers go freely, and was told that he was authorized to leave whenever he wanted and that the same applied to the brothers whose age did not qualify for enrolment»  (in the National Guard). On the 15th of May 1871, the teaching delegation appointed Francisco Salvador-Daniel as head of the Conservatory of Music, succeeding to composer Auber deceased on May 12th. Salvador took up his post and tried to reorganise the institution. He summoned some teachers who had remained at their posts. The Assistant Librarian told him: «You know that you are risking your life» to which Salvador answered: «I know that I risk being shot, but I can only act upon my beliefs». «Artist-citizens, male and female, attached to the following theatres: Opéra, Opéra-Comique and Théâtre Lyrique, or part in any manner of the singing, orchestra, choir, dancing, or management personnel are invited to a meeting in the conservatoire hall on Tuesday 23rd, at two o’clock, in order to reach an agreement with the delegate of the teaching delegation citizen Salvador-Daniel concerning the measures to take in order to substitute the system of the association to the exploiting system by a manager or a company». Unfortunately, his meeting could not take place and Francisco was required to carry out more dramatic duties during the Semaine Sanglante (Bloody Week). On May 22nd 1871, Varlin, elected representative of the 6th arrondissement, was in charge of the protection of his area. He sent Salvador-Daniel the order «to build a series of barricades rue de Rennes, rue de Vaugirard, to ensure the protection of the intersection». 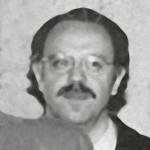 On May 23rd, Francisco fought rue de l’Université. On the morning of May 24th, he led the shooting from the barricade erected at the corner of rue Jacob and rue Bonaparte, along with seven men. They fought desperately until noon but were then forced to retreat in front of clearly superior forces. Salvador-Daniel hid at his friends’ house, but was reported to the Versaillais by neighbours. An officer and ten soldiers surrounded the hospitable house. They knocked down the door of the apartment and were dumbfounded by the calm of the rebel who, lying on a couch, was calmly smoking a cigarette while waiting for them. He knew that he was going to be shot without a trial. Brought by the linesmen to the place where he had fought, he fixed his tie and asked to be shot in the neck. A salvo killed him immediately. Three hours later, his body was thrown in the mass grave. He had expressed, many times, the wish for the Andante of Beethoven’s second Quintet to be played at his funeral, but his wish was not granted. However, his friends, in remembrance of him, later named this piece “Salvador’s Funeral”.